Sound 4 Sound has established itself as a top class show winning it’s self a platinum award. 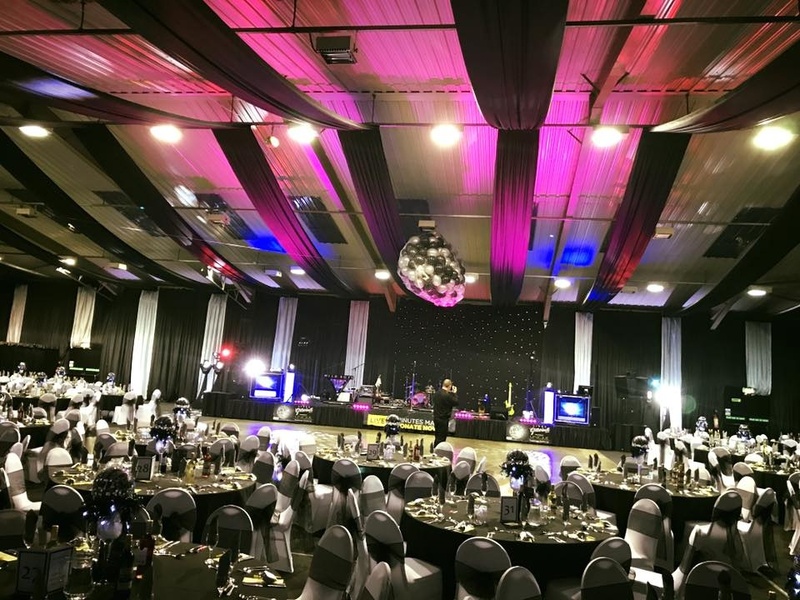 The advantages soon become clear that with a quality sound and lighting system, which is adaptable to suit any venue or party will impress anyone. At the centre of sound 4 Sound is your DJ’s and hosts Mark & Graeme. With the ability to play music to suit any occasion the play list is tailored to your party. The dance floor is always packed. The combination of the team, an excellent sound system and breath taking lights is a recipe for success. For your peace of mind Sound 4 Sound holds full public liability insurance, ProDub licence and all equipment checked for electrical safety. Certificates can be viewed upon request. Sound 4 Sound continues to perform at a variety of events on a regular basis. Presentation Evenings, School Discos, College Balls and Proms to suggest a few. 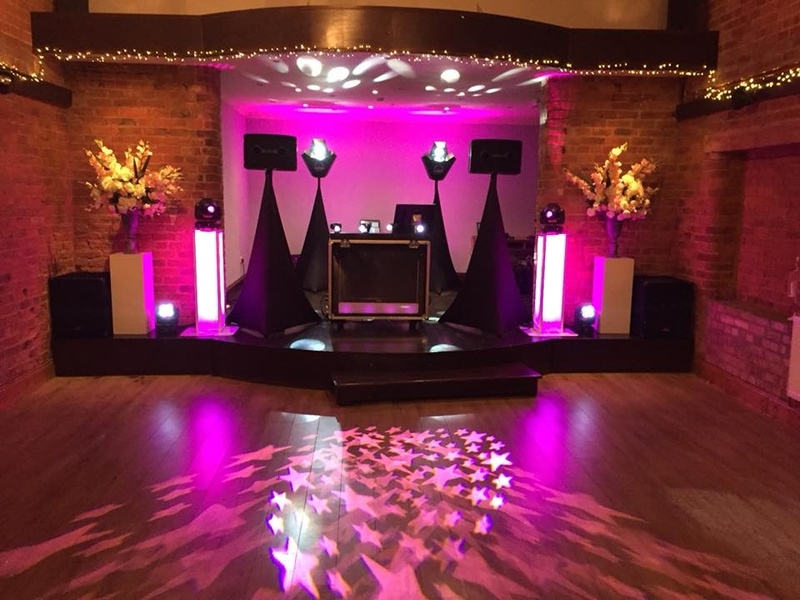 100% bespoke disco tailored to you exact requirements, from lighting colour scheme to your first dance. Please take a look at some of our past events in the photos below. This package is ideal for general parties, birthdays, anniversary's, fancy dress corporate events & themed nights. We designed this disco to look good and sound great, oh and its very loud if we need it to be, its very fast and easy to install and set up if time is a bit tight. 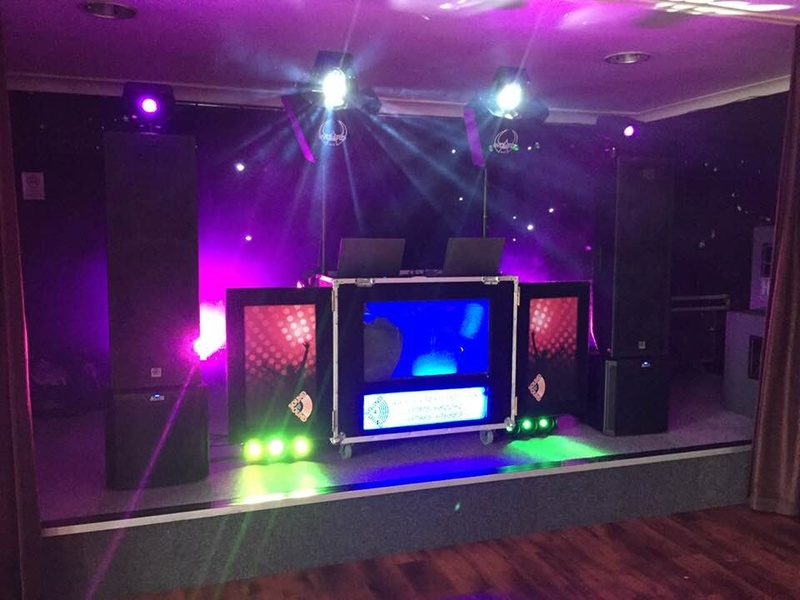 This Disco comes with DMX controlled lighting and sound, and has a built in TV that we can use to show photos on during your party, we can also use the TV screen for karaoke at an extra cost. This package was designed for weddings & larger venues. The aesthetics of this disco was at the heart of its design allowing us to share your photos or our own visualizations on the 42" built in TV and its mood lighting that can be tailored to colour theme of your wedding or event. This disco comes with a lighting display that we use to create an fantastic party atmosphere in the photo above "pre celebration" whilst guests arrived we have lit up the marquee or event room all pink and have pink love hearts displayed on the floor, we like to think this gives the party area the wow factor as your guests arrive, we mix this with the right cocktail of music, you and your guests will be up and dancing the night away. Picture the magical first dance as newly married couple set with light haze and white mirror ball spot effects, we don't just turn our lights onto auto, we computer control them to the best of there ability to add that extra atmosphere to your party. With this package you receive two experienced DJ's / sound engineers the disco has £6000 worth of BOSE Speakers and moving head LED lighting. This bespoke package is ideal for big events or venues like marques this package is custom-built for any event and venue with and experienced lighting design and sound engineer team working together to create an aesthetic disco to go hand in hand with your occasion. The combination of your input and our experience we guarantee to transform your venue let us lighten the mood of your guests with soft background music and lighting, you can have areas lighted up matching your colour scheme, have pin spots set up to light up features for example a wedding cake. With the beauty of modern technology and effects once your party is ready to start the lighting and sound come to life transforming your venue into the best party in town. If you have an idea, share it with us and allow Sound 4 Sound to bring it to life. If your having a Halloween party let us create a spooky atmosphere using sound, light and special effect, Christmas party let the snow fall on the dance floor, new year’s party bring in the pyrotechnics, big birthdays let us explode confetti near the dance floor or cake, we have done pirate parties, big weddings, designed lighting displays for a pacific song, we have edited music for a special dance routines the list goes on. Don’t be shy no matter what it is share your party ideas with us as we love a challenge. You may add a photo/selfie booth and giant "LOVE" letters to this package.